I love buying and using hand tools. The tool in this post I hope I never have to use. In fact, I bought two of them and hope I never have to use either of them. Why would someone buy a tool they never want to use? Is it a collector’s item? Nope. Was it a bargain? Nope. I paid about $43 each for them on Amazon. I bought them because I am a parent now. (And I do love a good tool with a solid purpose). Why would someone want this tool? This tool was designed for fire and rescue professionals and is a versatile multi-tool. The hardened cutter is designed to cut through a car battery cable, wiring harness or seat-belt with ease. 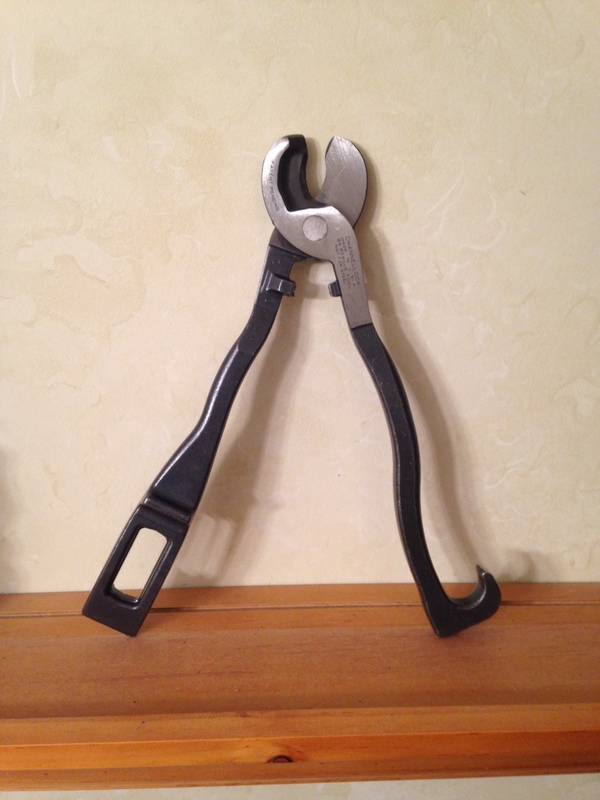 The curved end can be used as a spanner wrench to open water fittings. The more rectilinear arm can be used to shut off a natural gas valve and the tapered end of that arm can be used to pry a door or window. The hardened arms also have some semi-pointed ends that can be used to break safety glass. If you get into a car accident or help someone on the side of the road this is the tool you want to have by your side. 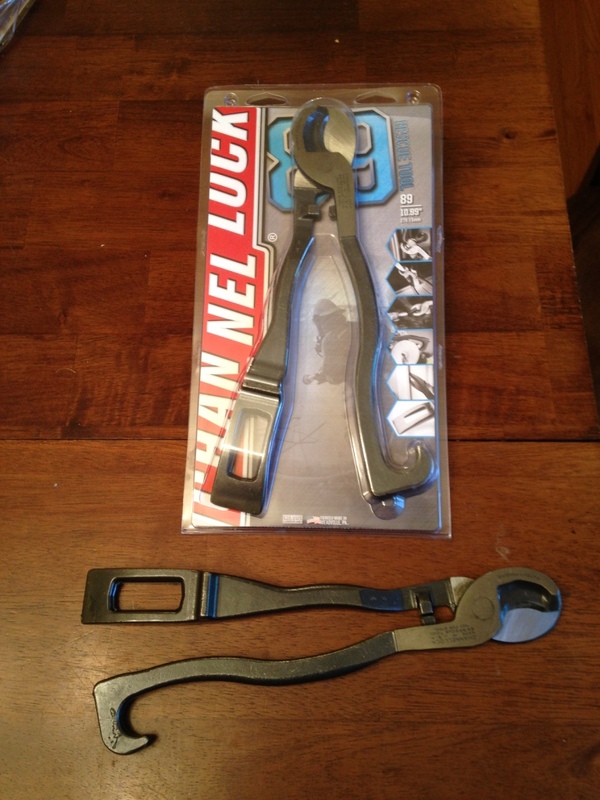 The tool is made in the USA by ChannelLock and is called the #89 ‘Rescue Tool’. They also make a slightly smaller/lighter version (The #87) if you drive a miata or have this tool on your person as part of how you make a living. They also make the #88 version which has linesman pliers instead of the cutter. 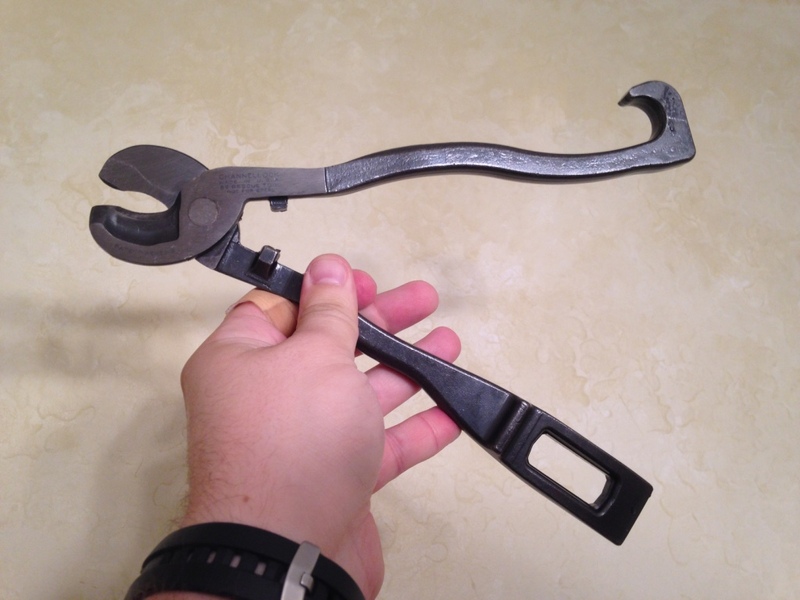 A few years ago I saw this in my local Home Depot and wanted to buy it, but we put it off as it was kind of expensive for a seemingly simple tool. As a new parent with a 10 month old baby and surrounded by terrible drivers and winter road conditions up here in New England I figured I’d bite the bullet and finally go buy one for each of our vehicles. They no longer seem to stock it in the store, but thankfully it’s still in production and readily available from Amazon and similar sources. 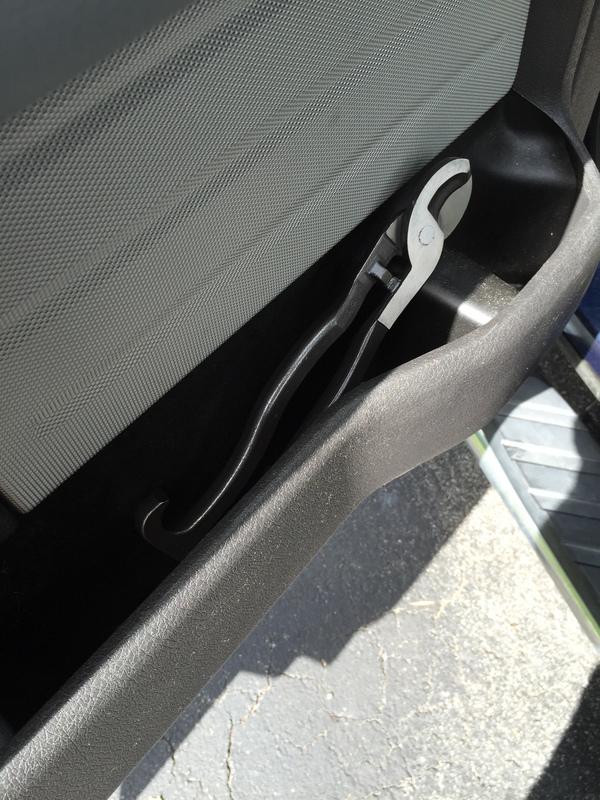 The tool fits nicely into the door pocket on both of our vehicles. If it rattles around too much for you liking you can wrap it in a towel or similar to keep it quiet. It also has a nice thick clear-coat on it which should keep it from rusting in the door which likely gets some rain on it on occasion. It’s a great addition to any vehicle. If you’d like to learn more about this tool ChannelLock has a dedicated website for it here. P.S. I don’t have any relationship to ChannelLock, but have many of their Made in the USA tools that have served me well for years of hard work and I wholeheartedly endorse this tool. P.P.S. Curiosity and necessity drove me to use it the other day and the tool did a great job cutting through some 3/4″ braided nylon rope with ease and made a nice clean cut.